Phases of life often begin with change. At Milka Clarke Stroke Brain Trauma Foundation we know that life changes – one door opening as another door closes – can occur at the most unexpected times, in the most unexpected ways. And our doors are open to help you deal with the changes that you and your loved one are experiencing. Partners in Caring focuses on answering questions, offering information and insight, and helping you or your loved one through the admission process into one of our NeuroPsych Facilities, whether for a short-term stay or for long-term recovery. Our aim is to convey facts about what to expect, listen to your concerns and, above all, open the door to reveal what life is like Milka Clarke Stroke Brain Trauma Foundation. Partners in Caring is designed to educate, inform and assist in the formation of realistic expectations about your care. The first step is to outline what must occur in order for the resident and his/her family to make realistic decisions about long-term healthcare. Entering a NeuroPsych facility requires adaptation on the part of the resident and his/her support network. We can help by informing you about what to expect as this new life phase begins. Our objective is to teach you and your loved ones by listening to your questions and concerns and by giving you as much information possible about the NeuroPsych program as well as about choosing the quality of life it offers. A NeuroPsych facility generally includes two types of patients – those who are receiving short-term rehabilitation to recover from an injury or illness, and those with multiple medical, cognitive or emotional problems or illnesses who are receiving longer-term care. Whenever possible, the short-term resident is sent home. In some cases, they resume their lives and continue their recovery; in other cases, they may experience a relapse or another health issue and be readmitted. 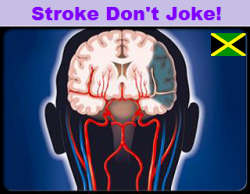 Milka Clarke Stroke Brain Trauma Foundation has a vision to provide for longer term care for certain individuals but in the interim, the focus will be on emergency diagnosis, emergency treatment and rehabilitation.